Upbeat, high-energy house tracks don’t usually go for ten minutes. And, depending on your tastes, you might think they’d get a repetitive and draining if they were to. 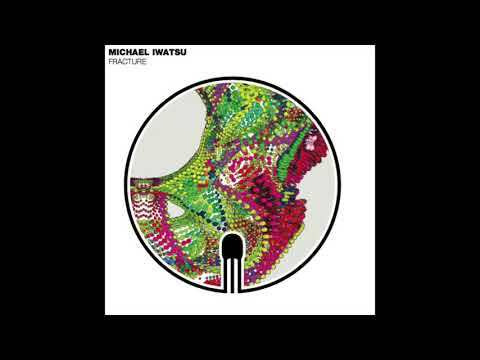 It’s hard to keep many styles of music fresh and engaging for that long, but London’s Michael Iwatsu has took on that challenge with impressive results.Set for a June 15 release on Burnin Music – a label native to his hometown – we’re tempted to spruik this release just for its audacity: two tracks of weird but wonderful house. The original, Fracture, is our premiere. Obviously, we recommend giving it a listen, but the Soulphiction remix on the flip-side is pretty special, too.The original is close to what you’d expect from a quintessential dance-floor journey: long and delicate in its balance of continuity and change. No element in the track feels out of place, yet there’s a big contrast between the major melodic elements of the first and second halves, while the somewhat off-kilter percussion splashes on throughout most of the ten minutes. This track has a roughness that we like. It sounds like a track made organically and simply, such that plenty of the instrumentation sounds like a series of live recordings. Soulphiction’s remix out of Stuttgart sounds a bit more automated, which actually rounds off the record quite nicely. It’s deeper, groovier and perhaps a bit more accessible. One of the best two-track EPs we’ve heard this year, keep an eye and ear out for Burnin Music’s third release this week.